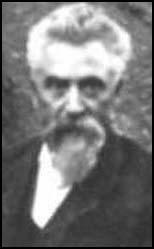 Hiram Maxim was born in Sangersville, Maine in 1840. He became a coachbuilder in an engineering works in Fitchburg, Massachusetts and during the next few years took out several patents including those for gas appliances and electric lamps. In 1881 Maxim, visited the Paris Electrical Exhibition. While he was at the exhibition he met a man who told him: "If you wanted to make a lot of money, invent something that will enable these Europeans to cut each other's throats with greater facility." Maxim moved to London and over the next few years worked on producing an effective machine-gun. In 1885 he demonstrated the world's first automatic portable machine-gun to the British Army. Maxim used the energy of each bullet's recoil force to eject the spent cartridge and insert the next bullet. The Maxim Machine-Gun would therefore fire until the entire belt of bullets was used up. Trials showed that the machine-gun could fire 500 rounds per minute and therefore had the firepower of about 100 rifles. 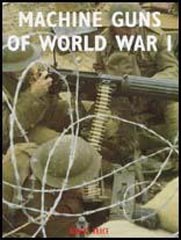 The Maxim Machine-Gun was adopted by the British Army in 1889. The following year the Austrian, German, Italian, Swiss and Russian armies also purchased Maxim's gun. The gun was first used by Britain`s colonial forces in the Matabele war in 1893-94. In one engagement, fifty soldiers fought off 5,000 Matabele warriors with just four Maxim guns. The success of the Maxim Machine-Gun inspired other inventors. The German Army's Maschinengewehr and the Russian Pulemyot Maxima were both based on Maxim's invention. After the success of his machine-gun, Maxim continued with his experiments. Before his death in 1916 Hiram Maxim also invented a pneumatic gun, the gun silencer (subsequently adapted for car exhausts), a smokeless gunpowder, a mousetrap, carbon filaments for light bulbs and a flying machine.